Over ten years ago the Spanish and Portuguese armies were locked in battle. This war lead the Portuguese to attempt to upgrade their failing Army, however it did little to stem the influx of Spanish troops. Surprisingly, the Portuguese Army, though it had strengthened its regiments by double their number was no match for the Spanish. In 1807, the allies of the Spanish, the French, marched into the rugged frontier of Portugal. Once there, the French Army was effective and relentless. By November of that year, Portugal’s Army was disbanded save the few regiments the French deemed worthy of serving in her armies. There have been reports that the men impressed into this Portuguese force are deserting at a rapid rate even now. When liberated, the Portuguese Regency (the royal family and court had departed for their Brazilian colonies on a flotilla of 15 ships) was most desirous of British aide. General Beresford’s promotion to the command of the hastily reformed Portuguese army was a wise choice. He is not a skilled battlefield commander, but his ability to speak the native language and his skills as an able administer is what this nation's Army required. The many reforms he has enacted throughout his command as Field Marshal have seen that depots of recruitment were put in place for the training and outfitting of Portuguese troops, that British drill and discipline are now used in the Portuguese Army and, that the men are paid their wages nearly on time to an overwhelming morale boast. Portuguese soldiers can follow orders in English as well as Portuguese. They fight alongside their British allies as one unit. The Army is now an effective and standardized force that can match up to any solider on the battlefield. One specialization of the Portuguese appears to be their light regiments. 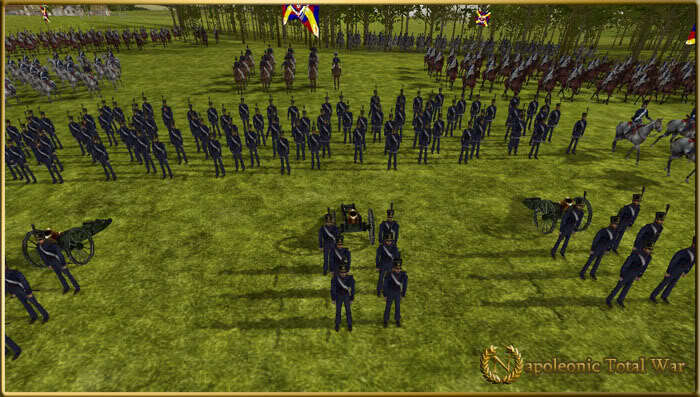 While they do have a goodly number of line regiments with light companies, the specialized training allowed the light regiments of Caçadores have made them into one of the most sought after additions to the battlefield. These men are dressed in simple homespun clothing, but fight with British musket or Rifle as though they had been born with it. The wise commander keeps them in light order and constantly harasses the enemy from afar with these men. They are comparable to the famed greenjackets of the British army but assuredly require their own special mention in the current conflicts. These men rushed to the silent call of re-arming when the French disbanded their official Army. In the months that followed, small bands of ex-soldiers and civilians alike reformed and tried to re-equip as best they could into military organization. So few were the firearms available for the initial rush of thousands of men to fight off the French occupancy, that many militiamen where armed with pikes or farm implements. 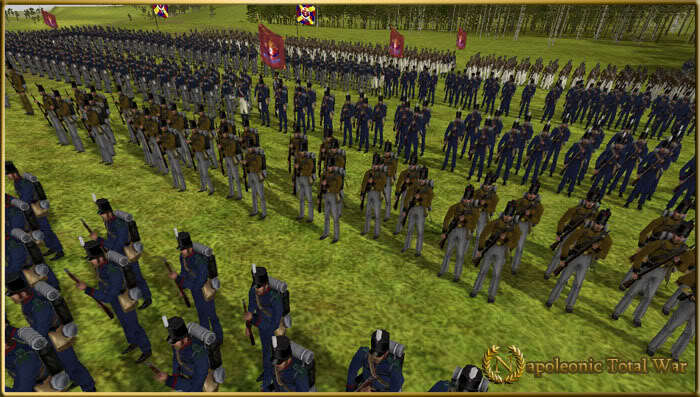 Now, the line infantry regiments fire just as fast as their British counterparts since they have been armed and trained with muskets. They have become top-notch soldiers and can be relied upon heavily. While Portugal has a strong contingent of Infantry and its Artillery Corps is growing, they do have some drawbacks in which their allies must compensate for. There is a complete lack of good cavalry mounts. There also seems to be a lack of men willing to ride them. This land is not a good breeding ground and many of the horses are not well trained for the tasks needed in war. The cavalry arm is lacking, but it can still field a small assortment of men if required. They are lightly equipped and used for those duties. Portugal has no guard contingent, unless you would be so kind as to count their Royal Palace Guard. This company of men is for decoration only. Even so, the commander who is lucky enough to command these troops under an “old India hand” like General Wellington in battle will not be disappointed. They are proud men who have trained like the British to defend their homelands and to see their nation freed of the tyrant rule of France. With a little practice and the ability to turn Portugal’s strengths to best effect, this army will see the France driven out of Iberia alongside the British and the Spanish within the next three years. 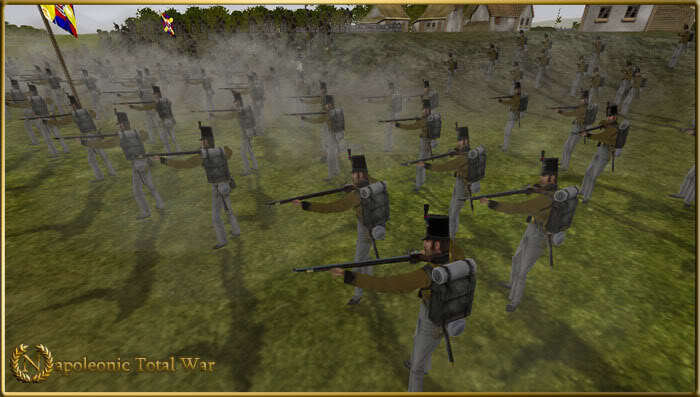 *The installer option “Lingering Smoke” will allow musket smoke to build up and cloud the field, making for a more gritty and hazy battle. This is not recommended for people with older, slower PCs. It will cause lag. Please go to the Downloads section of the site to begine your download. et je el trouve très bien fait.